Yet it really is hard to see how concerning the appointment of Kathy Chen should actually be. Twitter is blocked in China but is very popular with Chinese dissidents based in the West. It is also used by Chinese intellectuals and companies with international links: they access the social networking site with the use of a VPN to escape Beijing's rigorous censorship regime. What's worried many has been the content of Kathy Chen's initial burst of tweets, like when she proclaimed to Chinese state television @cctvnews "let's work together to tell great China story to the World!" People asked: Why would Twitter be wanting to work together with Communist Party controlled media? What would that co-operation entail? Image caption Ms Chen tweets she's "excited to join the @TwitterGCN flock"
She wrote that she was "thrilled to be" at Twitter to "create more value for Chinese enterprises, creators, partners and developers". But some in cyberspace have not shared her enthusiasm. @badiucao wrote "Deep worry about twitter hiring @kathychen2016 as China MD. Itz murder of freespeech." Apart from being an engineer in the People's Liberation Army, some have pointed to her previous employment with the American company Computer Associates. When it operated a joint venture in the 1990s, China's Ministry of Public Security owned a 20% stake in the local partner entity. Clearly the implication is that she has been, in some way, linked to the crushing of free speech in her homeland - but really where is the evidence for this? She was in the military - as a lot of people in China have been. Does that mean you can't work for social media? A previous employer had some sort of link to the Ministry of Public Security. That doesn't mean she did anything for them. Maybe she did but at the moment this is well short of being established. The world of high tech involvement in China is a murky one indeed. Another of Ms Chen's previous employers was Cisco. Cisco helped China's security apparatus build the Great Firewall of China. For many online activists this clearly places Cisco in the realm of selling its soul by cashing in on Chinese oppression. But whatever you think about the company's activities, does the selling of these routers to China mean that any employee of the company is tarred with the action? 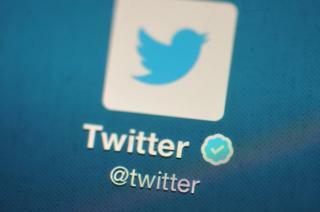 The appointment of Twitter's new China managing director is a money-making exercise. She's there to sell advertising, to forge commercial links. The company has already said publicly that it has nothing to do with any attempt to have its site un-blocked for a quarter of the world's population. So far Twitter has refrained from the publicity stunts of Facebook's Mark Zuckerberg as way of trying to "get into China". He's gone jogging through the Beijing pollution without a facemask. He assured a Chinese delegation that his top staff were all busily reading the collected speeches of President Xi Jinping and did a Q&A session with students here in his best Chinese. It hasn't worked so far. Twitter's strategy, on the other hand, seems to be to accept their blocked status and make what they can from it given the limitations as they are. Irrespective of her history she'd better be buckled down for the ride ahead.